No, Hane. That S does not stand for Superman. 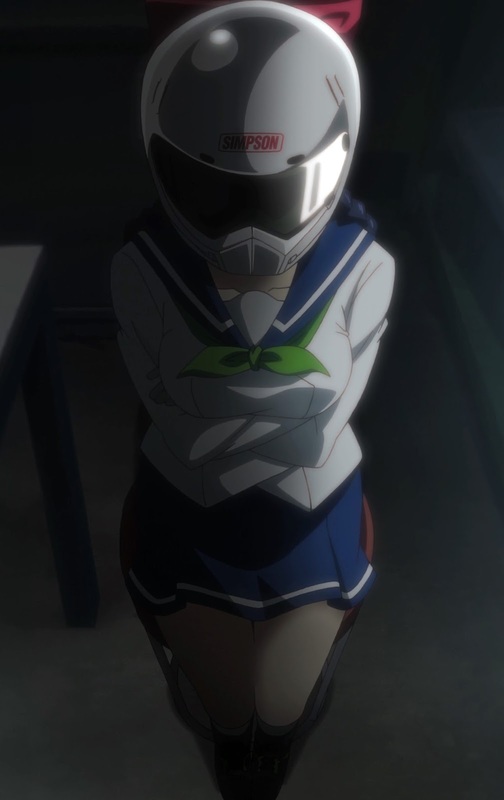 Although Rin might think Suzuki is a good enough stand-in brand. This will probably be the most I'm interested in the show besides for the cute girls. Look at all the bicycle pedaling action! Look at Onoda's bike from Yowamushi Pedal with a pink paint job! Also, Hane's haitenai is pretty good. More furious pedaling action! Hane was all fired up! Hane is very interested in hearing why motorcycles, or autobi as the Japanese shorten it from auto bike, are great from Onsa, the girl with the just sexed up hair. Hane is our usual source of inadvertent yuri. Oh no she di'int! The same company that did the 3DCGI for Yowamushi Pedal gave us a nice Kinjou cameo. 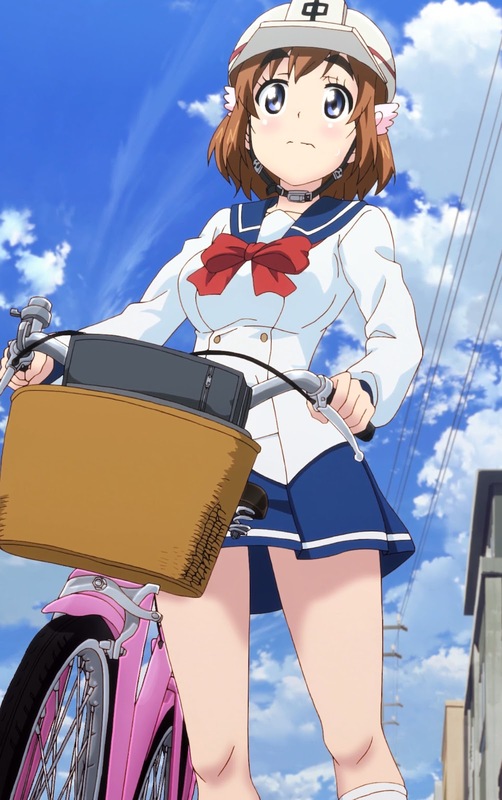 But let's not forget we're here to see how superior motorcycles are to road bikes. Rin gives us our twin-tail kinpatsu. Those leather race suits are very restrictive, so her bouncy nature shows you how "big" she really is. Any parking job you can walk away from, amirite? 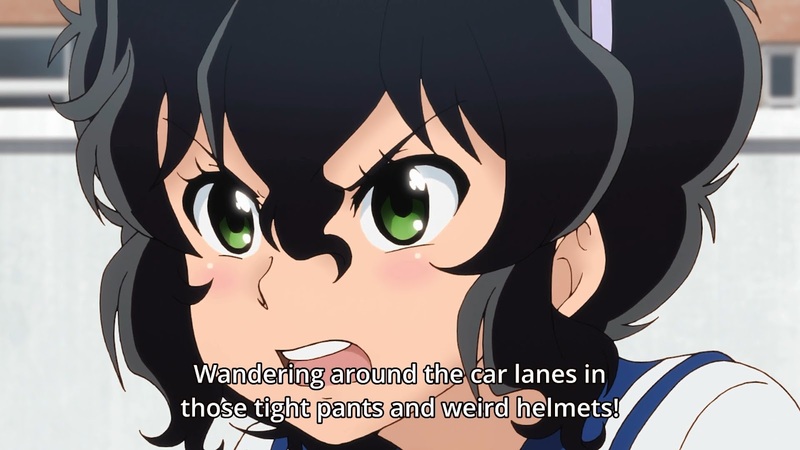 Rin emphasizes what she brings to the show. Yes, we know that you have a big... fandom of all things Suzuki. Rin smiled, right before vowing to kill Onsa for disrespecting Suzuki! Lime, the motorcycle club president, doesn't say anything and never takes off her helmet. I wouldn't be surprised if she whipped out a phone to start writing her speech like another helmeted bike rider who couldn't talk who came from Ireland. 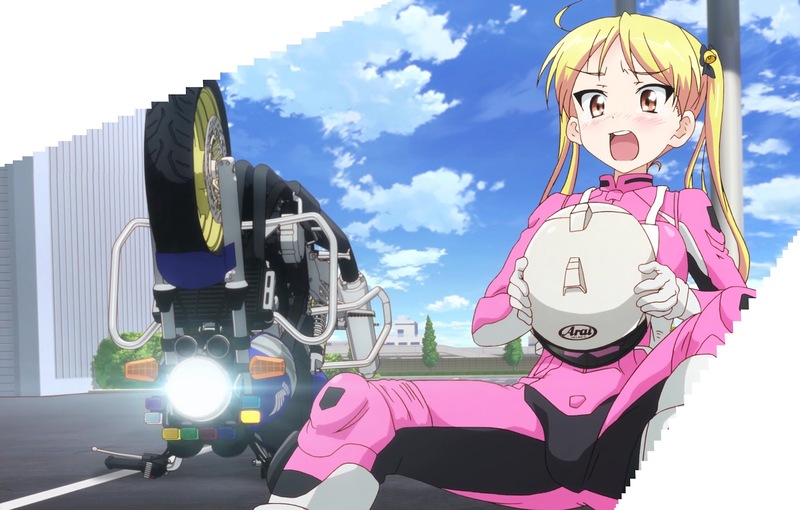 Lime doesn't want to say she could qualify for big bikes because of her big chest, but she's not going to deny it either. 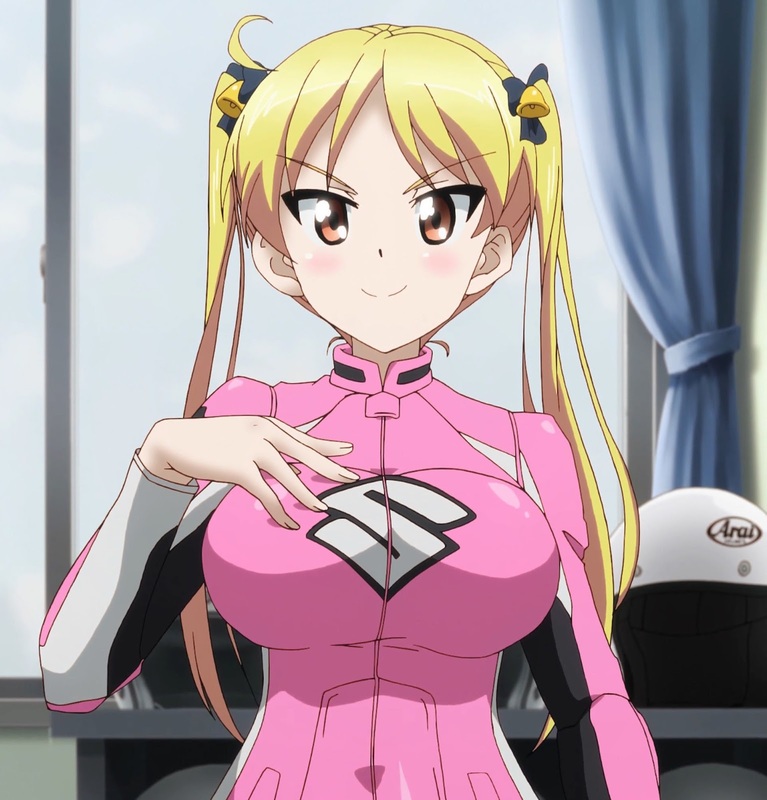 Must be nice to have a 30 minute motorcycle commercial hosted by cute girls.